I learned about a new turn-based fantasy strategy game called Mech Mice from a Press Release that I received (see below). I decided to give it a try and see what it was all about. You lead a squad of mice who work together with an arsenal of fantastic weapons. Each mouse has his or her own weapon and ability or abilities. They are protecting their home from mutant cybugs. The game is the brainchild of Lance Priebe and Pascale Audette, Co-Founders of Hyper Hippo Productions. By the way, Priebe was co-creator of Club Penguin the wildly successful online community gaming experience. From what I’ve seen from playing the game there has been so much work done to make this a rich and exciting game to play. It is also visually beautiful with characters that look almost painted from watercolors even in their animations. It is a very cool style. Here is the game trailer and then the Press Release below that. [KELOWNA, B.C. – October 16, 2013] – Hyper Hippo Productions has announced the launch of Mech Mice, an all-new tactical strategy game featuring a rich storyline and beautiful animation. Hyper Hippo, the new digital entertainment studio founded by two of the leading minds behind the success of Disney’s Club Penguin, have teamed up with Oktobor Animation to bring the fantasy world of Mech Mice to fans young and old. 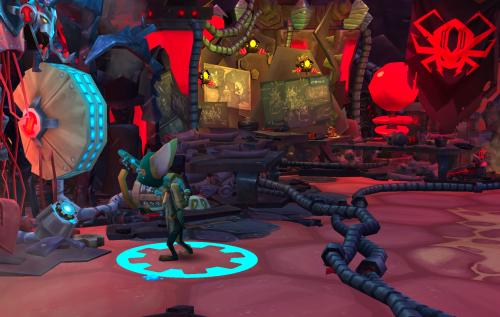 Mech Mice is now available for Mac and PC, and is quickly being followed by iOS and Android later this year. “Tactical Strategy is one of the most popular genre’s of game play, but it has never been properly imagined for a younger audience. We challenged ourselves to make that game! 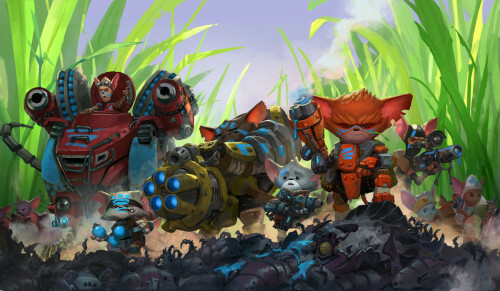 Mech Mice features the unlikeliest of underdog heroes, mice, but in a way they have never been portrayed before. The unique gameplay experience and powerful stories provide an opportunity for families to enjoy playing together in a reimagined experience that explores themes of teamwork, courage and sacrifice.” said Pascale Audette, Co-Founder and Chief Executive Officer at Hyper Hippo. Select your units, assemble a squad of meched out mice, and lead them into ‘splatterific’ turn-based battles against sinister swarms of mutant cybug armies. As a member of the Mech Mice order, you are called to defend the innocent creatures of Roden from the Dark Union. This epic story unfolds as you build your collection of digital, playable action figures and plot your strategy through a series of fun and challenging levels. Customize and level up your own squad with new units, abilities, and awesome mechs. Social Media Outlets for Mech Mice. Mech Mice Entertainment is a partnership formed between children’s animation producer Oktobor Animation and Hyper Hippo to create multiple ways for kids to engage with the Mech Mice characters and rich stories, including online gaming, apps, animation, toys, and publishing. Hyper Hippo is a new digital entertainment studio formed by two of the leading minds behind Disney’s Club Penguin. Together with Oktobor Animation, producer of children’s animation for Emmy award-winning shows, they plan to bring the story of Mech Mice to kids everywhere around the world. For more information, visit www.mechmice.com.